I'm developing an Android app and am interested to know how you can update the app user's status from within the app using Android's share intents. I have tried the usual share intent code, however this no longer appears to work for Facebook. The Facebook application does not handle either the EXTRA_SUBJECT or EXTRA_TEXT fields. The thing is, if you put a URL in the EXTRA_TEXT field, it does work. It's like they're intentionally stripping out any text. "Sharer.php no longer allows you to customize." 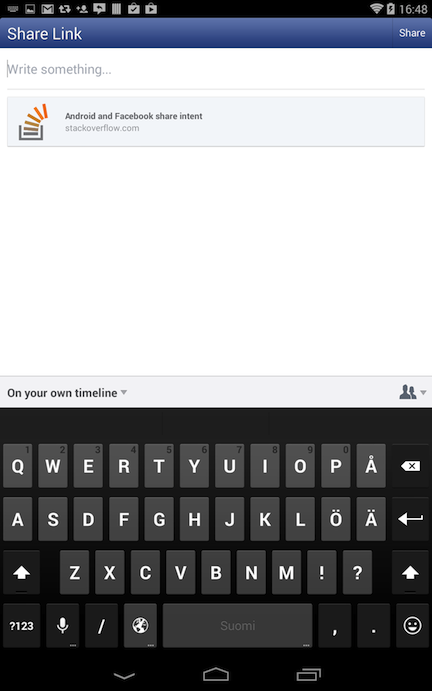 "You need to use Facebook Android SDK or Easy Facebook Android SDK to share." Here's the best solution I've found that does not involve using any Facebook SDKs. // intent.putExtra(Intent.EXTRA_SUBJECT, "Foo bar"); // NB: has no effect! This works without any issues for me. The potential problem with doing this, is that you're also allowing the message to be sent via e-mail, SMS, etc. The following code is something I'm using in an application, that allows the user to send me an e-mail using Gmail. I'm guessing you could try to change it to make it work with Facebook only. I'm not sure how it responds to any errors or exceptions (I'm guessing that would occur if Facebook is not installed), so you might have to test it a bit. I found out you can only share either Text or Image, not both using Intents. Below code shares only Image if exists, or only Text if Image does not exits. If you want to share both, you need to use Facebook SDK from here. If you use other solution instead of below code, don't forget to specify package name com.facebook.lite as well, which is package name of Facebook Lite. I haven't test but com.facebook.orca is package name of Facebook Messenger if you want to target that too. // Use methods on Context to access package-specific directories on external storage. // This way, you don't need to request external read/write permission. Seems in version 4.0.0 of Facebook so many things has changed. This is my code which is working fine. Hope it helps you. // User doesn't have Facebook app installed. Try sharing through browser. This solution works aswell. 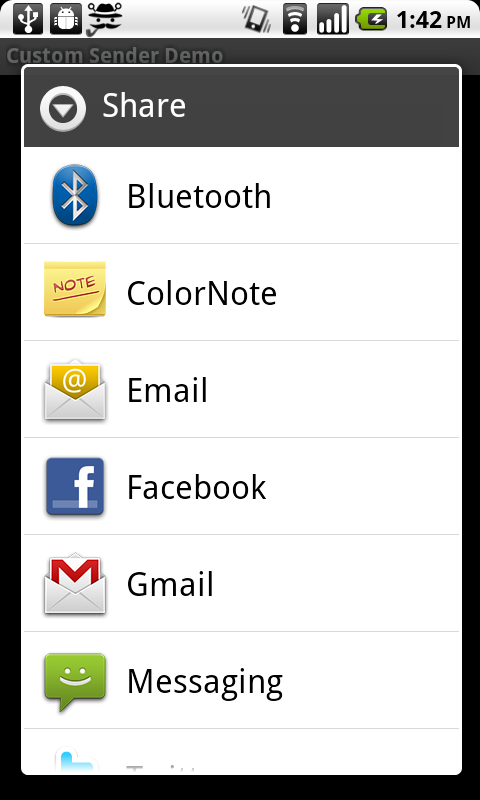 If there is no Facebook installed, it just runs the normal share-dialog. If there is and you are not logged in, it goes to the login screen. If you are logged in, it will open the share dialog and put in the "Share url" from the Intent Extra. The easiest way that I could find to pass a message from my app to facebook was programmatically copy to the clipboard and alert the user that they have the option to paste. It saves the user from manually doing it; my app is not pasting but the user might. // copy message to clipboard for user to paste into fb. Not the answer you're looking for? Browse other questions tagged android facebook android-intent or ask your own question. 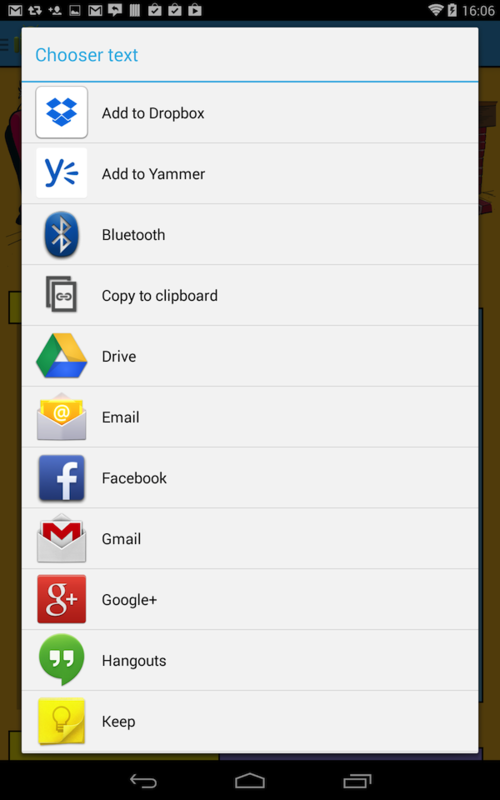 Sharing URL to Facebook, Twitter and email in Android? How can I post on Twitter with Intent Action_send?